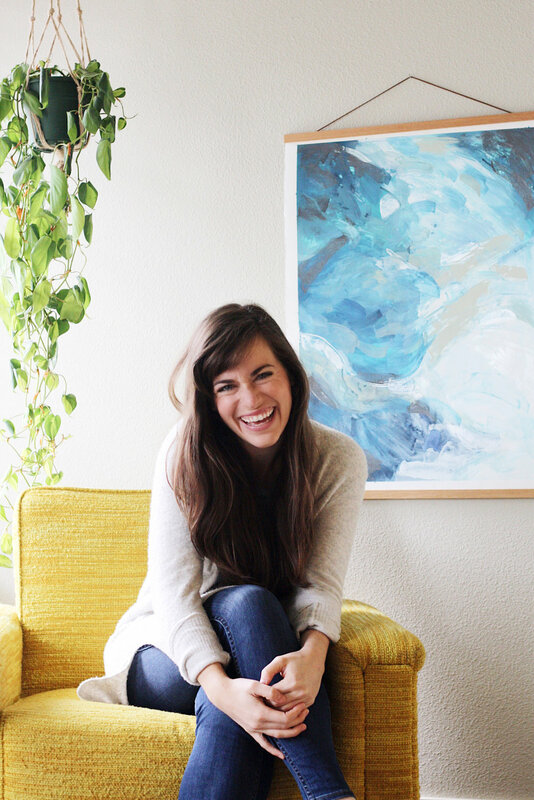 Morgan is a youth coordinator for a church/designer/writer/podcaster/donut enthusiast/creative genius extraordinaire. I’ve followed her blog for a long time now and her beautiful, honest writing has struck many a nerve with me over the years. I totally admire her bravery and her unique voice in an online space where there tends to be a whole lot of same-ness. She’s refreshing and raw and so fun to be around, both in person and online. Which sounds a little creepy, but I promise it’s not. And with that, I’ll let Morgan take it from here! I live and work in the Neverland that is Athens, Georgia, where I also attended UGA for college. I vowed emphatically upon my graduation that I would “never leave Athens or kill me dead!” and I owe my current life-status (happily living) to the fact that the Classic City is indeed still my home. (This proclamation was mostly made out of the crippling anxiety of adulthood and the fact that as a strong ENFP, I had no plans for post-collegiate employment.) Fast forward a few years and you’ll find me contentedly at work as the youth ministry coordinator for Redeemer Presbyterian Church (and the one-woman graphic design/web design department/circus. There are many hats to wear in ministry.) I still vow to never leave Athens or kill me dead. I am writing this upon returning from a 4-day-long trip with 70 middle and high school students, so currently the thing that brings me the most joy in my work is sleep. On other days, the fact that I get to work with teenagers is just the best. Youth ministry is interesting— you have to be hip and cool and know things like what “RT” and “low key” mean but also be able to speak truth and wisdom. I would say 90% of my job is just listening to the kids talk and asking them questions, and those conversations definitely make the hard, long hours of this job worth it. Here's Morgan being hip and cool with the aforementioned middle and high school students. I am such a nerd about stuff so there are usually a few things in the rotation of things I can’t shut up about… currently: Mystery Show podcast, the Oscar Best Score nominations, frozen Oreos, Aziz Ansari’s Modern Romance, Chambaland mashups. I find that being enthusiastic about stuff is more fun and inspiring than being an elitist or a snob so I just get really excited about anything. And usually obsessive. Podcasts are my jam right now and my friend Gracie and I are actually in the early stages of producing our own show. I call this one, "Morgan's Feet on Leaves"
I have a tendency to over-schedule myself. And surprisingly, that makes for some lonely days. I think I can be so driven by trying to accomplish a lot of things all at once that I don’t leave space to really invest—whether that’s in friendships or hobbies or just downtime. It wears me out and makes me feel very alone. I think, actually, that the over-scheduling comes from a fear of loneliness, but then that’s exactly where I end up. And I don’t do “alone” very well, but I’m learning how to embrace it and also how to better care for myself. I don’t really know that I see myself as that different from other people: I’m a huge sinner trying to honor God with my life and failing a lot and learning a lot in the process. But perhaps if I had to choose something it would be that I am pretty comfortable in my own skin. Sure, there are superficial things I wish I could change sometimes, but ultimately I am reminded that I am who I am because God created me to be exactly Morgan. On days when I don’t feel enough (pretty enough, funny enough, awake enough, smart enough) I remember that I am Morgan, Created by God in space and time to be right here, right now. Especially when I’m feeling tired from ministry life or self-conscious about being too in love with frozen Oreos, I’m so thankful that God made me the weirdo who’s obsessed with podcasts and Taylor Swift mashups. It’s comforting in a bizarre way. She's pretty much the cutest. I have dreams of owning a Waffle Truck called “Y’all’s Waffles.” We’d serve made-to-order Belgian style waffles with whatever fixin’s you want. You’d order, give your name, and when your order is up, I’d say…. “Lindsay! Y’all’s waffles are ready!” We’d have big yellow metal letters with lights that would spell out “Y’all’s Waffles” in script that would blink on the top of the truck. I’ve thought a lot about this. I think about waffles a lot. Maybe more than frozen Oreos. Go Morgan, it's yo' birthday! Also, you should know that I stalked your facebook and picked out this photo because even though you're holding what is probably a cake, it looks a little bit like a giant waffle. I also think about waffles a lot. You can find more of Morgan on her blog, instagram, and podcast. And all of them are gold. Trust me.